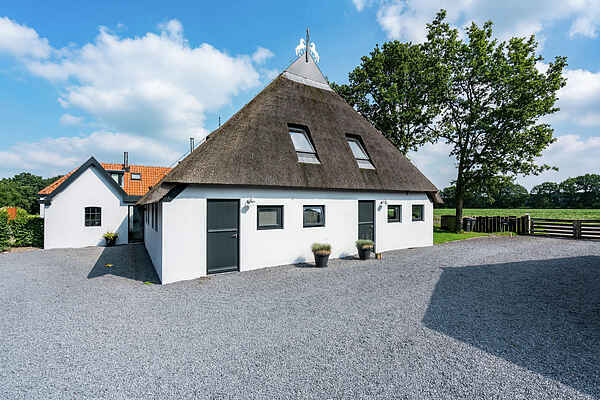 This charming and modern Bed & Breakfast is situated in Langedijke, near the Drents-Friese Wold. It combines the outdoor country life with the requisite luxury. It is also possible to stable your horse in the spacious bright stables or in the paddock on the pasture. Your guest accommodation in the Bed & Breakfast has its own entrance, shower facilities and a separate toilet. The living and breakfast area with a lovely wood-burning fire is perfect for drinking a cup of coffee and you can also have an extensive breakfast served here in the mornings if you wish. The dining area is located in a lovely annex, which is accessible from the outside. The National park, Drents-Friese Wold, is one of the largest natural reserves in the Netherlands with 6,000 hectares of forests, moors, sand dunes and river valley grasslands. There is plenty for nature lovers to do. Cycling paths, walking trails, a large selection of horse trails (75 km) and a visitors' centre offer you the possibility of exploring the countryside in the national park. You can also take lovely day trips in the area, such as to the Drents Museum and the Aekingerzand recreation area. The dolens, the Shakespeare open-air theatre in Diever and the Groninger Museum are also worth a visit.